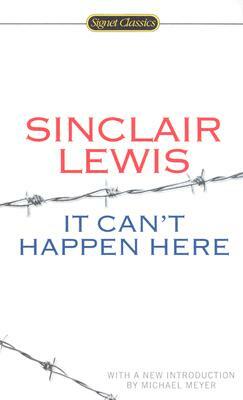 Sinclair Lewis was born in 1885 in Sauk Centre, Minnesota, and graduated from Yale University in 1908. His college career was interrupted by various part-time occupations, including a period working at the Helicon Home Colony, Upton Sinclair's socialist experiment in New Jersey. He worked for some years as a free lance editor and journalist, during which time he published several minor novels. But with the publication of Main Street (1920), which sold half a million copies, he achieved wide recognition. This was followed by the two novels considered by many to be his finest, Babbitt (1922) and Arrowsmith (1925), which was awarded the Pulitzer Prize in 1926, but declined by Lewis. In 1930, following Elmer Gantry (1927) and Dodsworth (1929), Sinclair Lewis became the first American author to be awarded the Nobel Prize for distinction in world literature. This was the apogee of his literary career, and in the period from Ann Vickers (1933) to the posthumously published World So Wide (1951) Lewis wrote ten novels that reveal the progressive decline of his creative powers. From Main Street to Stockholm, a collection of his letters, was published in 1952, and The Man from Main Street, a collection of essays, in 1953. During his last years Sinclair Lewis wandered extensively in Europe, and after his death in Rome in 1951 his ashes were returned to his birthplace.